States with primary laws banning texting while driving have shown a reduction in traffic deaths as opposed to those states with secondary laws or no texting law at all according to a study published by the University of Alabama at Birmingham School of Public Health. 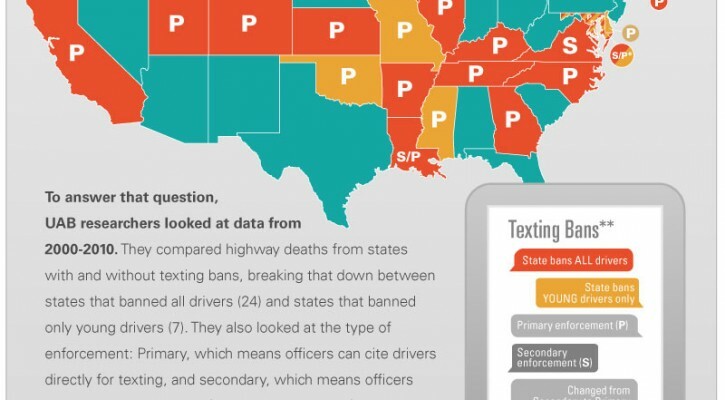 States with secondary anti-texting laws showed no significant reduction in traffic deaths. Deaths among the 15 to 21 year old age group were reduced by 11 percent.